Reposted from The Front End of Innovation blog in support of the 2011 Future Trends conference. Future Trends 2011 will feature a full day summit focusing on social media, technology, mobile and gaming trends on Tuesday October 4th entitled "THE NEW SOCIAL CURRENCY: Engage in the Relationship Economy." To learn more about Future Trends, visit the website here. What do the letters T.G.I.F. mean to you? To young innovator and 2011 Future Trends Keynote Speaker Cassandra Lin, they stand for Turn Grease Into Fuel, a project she created that takes a step towards waste-free communities. The TGIF project encourages restaurants to donate used cooking grease to be turned into fuel for needy families, is currently working with 104 restaurants and has provided the equivalent of $32,000 worth of energy thus far. Cassandra joined me recently for the second episode of our 2011 Forward Focus Podcast Series to discuss the project and her other visions for the future. To listen to the podcast, click here. Cassandra is an Award Winning Community Problem Solver, U.S. delegate at the UNEP Children & Youth Conference, and Creator of Project TGIF. 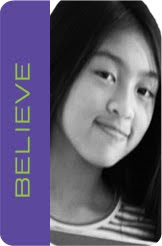 This October she will be presenting "Collaborating Youth to Change the World" at the 2011 Future Trends conference. To learn more, download the brochure here. Register here. Want to learn more about the TGIF project? Check out their official YouTube video below. Stay in touch with Future Trends, join our LinkedIn Community, follow us on Twitter or become a fan on Facebook for updates on the conference, discounts and industry news.